I simply don’t know how mothers who aren’t into babywearing do it. Without a wrap or sling how on earth do you keep your newborn happy whilst continuing to tweet on the loo/ stand in front of the fridge for endless minutes picking your way through leftovers and the chocolates your toddler received in honour of becoming a big sister/ wash off the paint toddler has plastered all over her face whilst breastfeeding newborn? 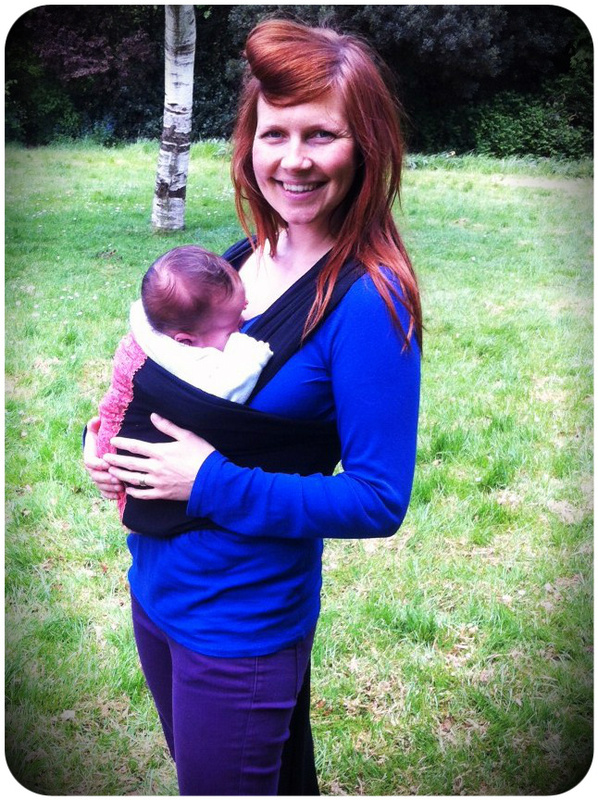 Babywearing can work for all mamas and babies – I have heard that even babies born with hip dysplaysia can wear their babies. Also, babywearing is PERFECT for disguising the fact that you are in the supermarket in your milk stained pajama top. Like many parents we have a couple of different slings – ones for different occasions and timeframes in our daughters life. For these early days I find a stretchy wrap invaluable- it is so comfortable for me and snug for the little lady. I also find a ring sling handy too- it is easy to whip them in and out for pottytunities (we do EC with our daughters.) However, I seem to produce Gold Top milk that soon sees our babies piling on the pounds and becoming rather, um, BONNY, so by 3-4 months need to upgrade to something sturdier like my woven Didymos wrap. Most babies will get to at least 6 months with a ring sling or stretchy. 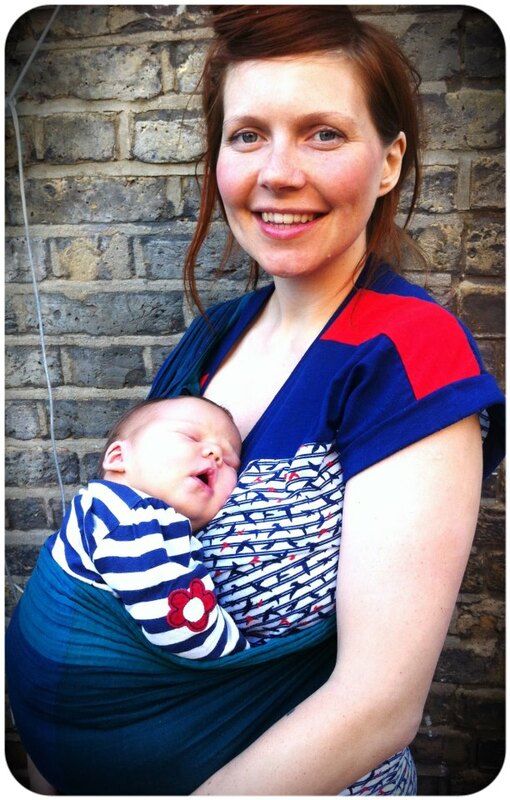 I have made each one of the following slings and recommend them wholeheartedly- they are genuinely first rate, even though they are cheapskate and will meet all your babywearing needs in the thriftiest possible manner. If you use tee shirt material you won’t even need to hem it but if you use something lighter like gauze you will need to hem it to stop it fraying. My friend made this one for me, using some beautiful sari material and some heavy duty curtain hooks. Here is an identical tutorial. So maybe stick to the simple version, it should see your tot through to about two years old. Right, I’m off to go and graze in front of the fridge again. What stuff do you get up to with a baby velcroed on to your chest? Have you found any brilliant babywearing tutorials? I have found my wrap invaluable with my 8 week old. I only expected to use it to walk the dog but wear him a lot round the house as it calms him and I can eat/wee/tweet in peace. He is a chunky monkey too though so I’ll need to upgrade well before 6 months. Thanks for sharing these designs. I am taking note!! I have all kinds of creative plans for baby-related projects…probably way too ambitious, but these seem like they’re within my powers!! *Goes on Facebook* Oh, right, it is public hehe! Now I can make her a whole load of them, one for every outfit! One thing I’ve enjoyed discovering is how much I love to wear my baby! I picked up a stretchy-wrap at a charity shop and it’s fantastic…although my little’un started out big and he’s only getting heavier so I may have to switch to something sturdier soon. I love these tutorials though – I might give one a go for my friends who are expecting this summer. Times like this I wish I could sew :0( looks great and baby is comfy. I agree – with a toddler in tow I don’t know how I’d get anything done if I wasn’t able to just pop my 15 week old into a sling. He LOVES it in there and then I have my hands free to make porridge, help with colouring and generally get things done. Interestingly, when the health visitor came by he was asleep in the sling (the only place he’ll sleep in the day) and she told me that I now need to work on getting him to nap in the cot during the day. That was a bit of a surprise – he’s happy in the sling, I’m happy that he’s happy and my toddler is happy that I’m able to play with her rather than spending time trying to get him to sleep in a cot. I’m not sure why it’s so important that he does – I figure that he will when he’s ready?! Oh my how have I only just found your blog now?! Have lost half an hour perusing and now I want to have a crack at a mei tai!! I made a mei tai for my heavy 8 months old boy. I love it! It is so comfortable, and the weight is well distributed on both shoulders so doesn’t hurt your back, and I hear it is better for the baby’s hips too. I didn’t use any padding at all, just heavy cotton for the straps and funky cotton for the front pannel, so it folds up very easily and doesn’t take any space in the changing bag. I’m not sure what the padding is for actually as the one I made is super comfortable without it. 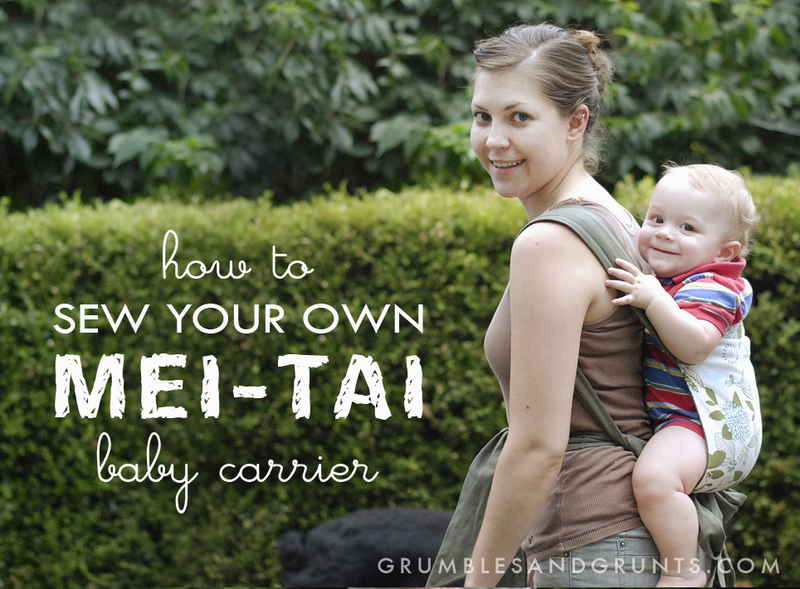 I have patterns for the other slings but haven’t made any yet as I love the mei tai so much! Will it matter if I sew by hand? I’m not that great at sewing, just what I remember from home ec. I don’t have a machine. I don’t think so, there’s only such a little bit of sewing, perhaps double up the cotton so it’s a bit stronger? Also you can get those things that help you iron two bits of fabric together? Not sure what they are called! I love this. We’re avid tandem twin babywearers in this strange and slightly hippy family; it’s been sanity-saving to be able to carry the tinies about constantly, to have them sleep on us, to learn from us, to experience the world from the safety of us. They are such confident, happy babies and we have had such an easy motherhood and I’m convinced it’s because we babywear. I recently purchased material for a DIY stretchy wrap…. But I accidentally bought 4 yards (~3.6 meters) instead of 5 yards like I meant to get! I’m typically a small or medium in shirts. Very small bust. Pants are usually a 4-6. Should I go ahead and make a 4 yard long wrap, or should I get some more fabric to add in? ?